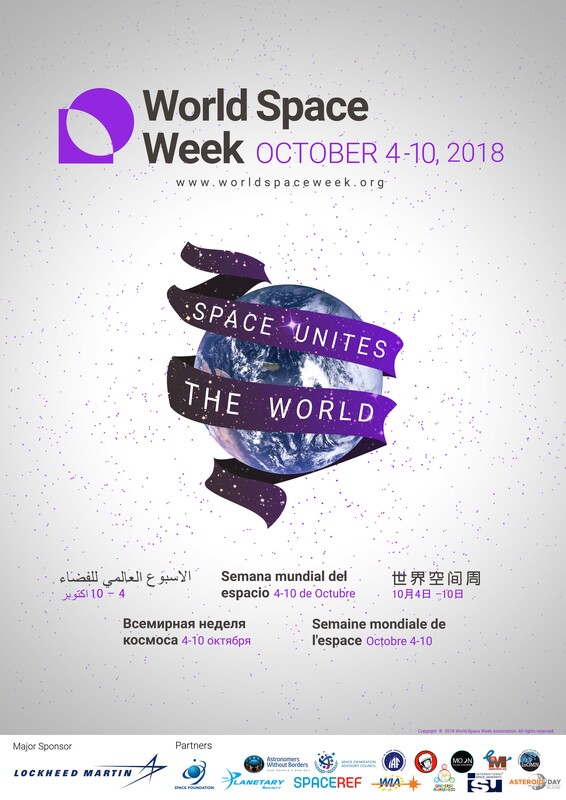 On this page you can download the most recent World Space Week poster. Please feel free to use as-is, or use the empty template to create your own local version of the poster. Please use right-click and ‘Save Link as‘ to download the poster file to your computer. All previous posters since 2000 can be found and downloaded here. This year, we are pleased to share the poster in additional languages. 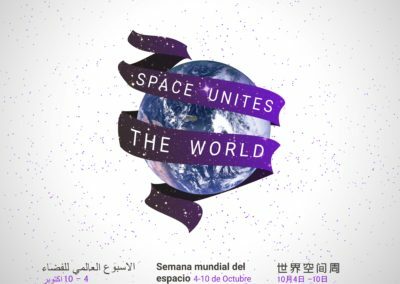 These were prepared by volunteers of the Astronomy Translation Network, a project of the International Astronomical Union (IAU) Office for Astronomy Outreach.